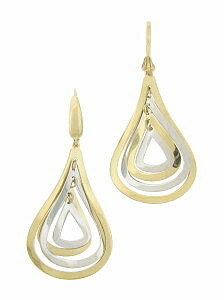 These sparkling 14K bi-color estate earrings are fashioned as a quartet of alternating tear shaped loops. The earrings are attached to wires and finished with European backs. They measure 2"in length, 3/16"in width.